It’s time to smash through any boundaries that have held back your riding. Join our team of dedicated pros to take things up a notch! 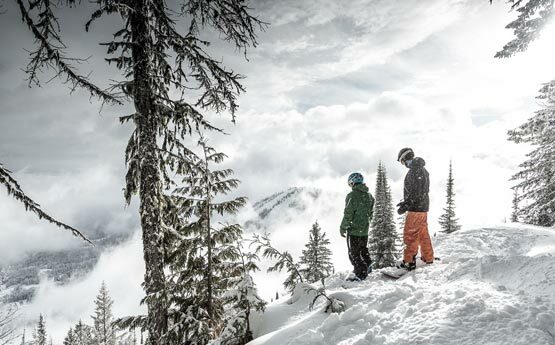 Whether you’re looking to refine your all mountain technique, explore BC’s legendary steep and deep conditions or even get the chopper involved, our courses in Fernie have got you covered. Or join us in Banff for some spring sessions working on all things freestyle. 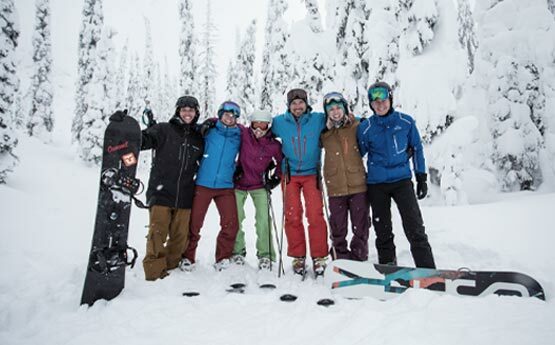 Off the snow, our camps are a super social experience and a great way to meet new people. 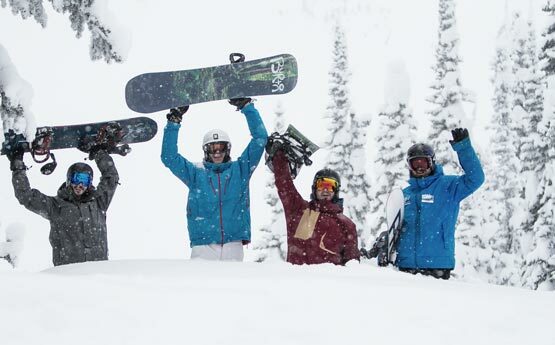 Our improvement courses attract a broad range of snowboarders all looking to take their riding to the next level. We organise groups according to ability so you’ll be riding with others at a similar level. 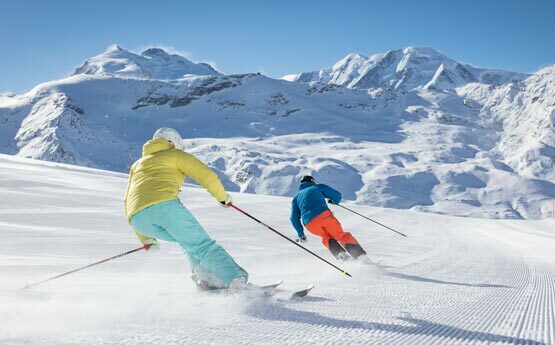 Whether you’re seeking out the most challenging terrain on the hill or only just making the transition to off piste conditions, you’ll leave with new skills and a real sense of achievement. 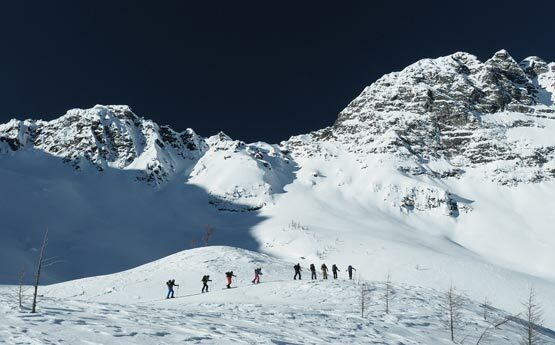 Bolster your time in Canada by going cat boarding or enhance your mountain awareness with a recreational avalanche awareness course. This isn’t your typical winter holiday! 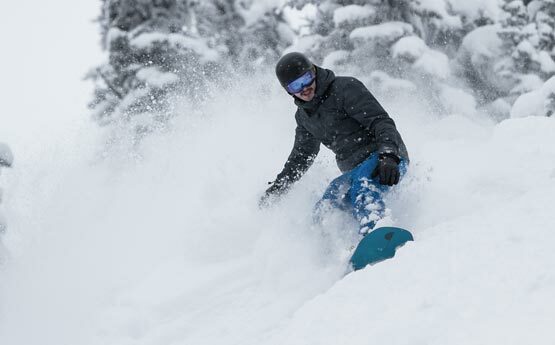 If you’re looking for guaranteed untracked snow, it’s time to explore beyond the boundary of the resort and experience the backcountry. 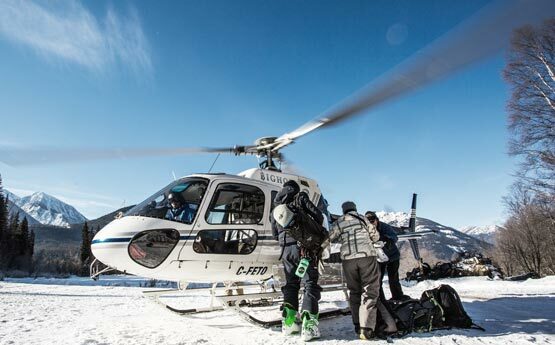 Whether you’re up for earning your turns with a split board, or seeking to tick off the ultimate bucket list activity and jump on board a helicopter, check out these courses for the ultimate winter adventure. Spring time in Banff! If freestyle is your thing then there is nowhere better to be. 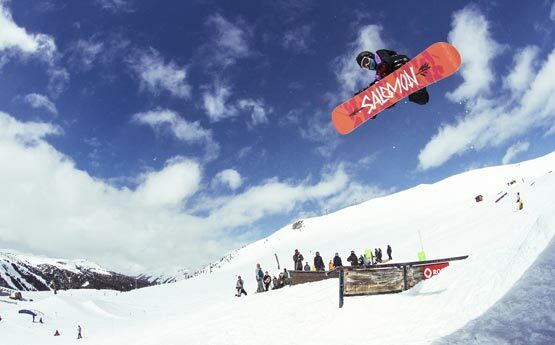 Sunny days and softer landings make park laps the call of the day. Three enormous terrain parks boasting a range of features to suit all abilities make this the perfect training ground to progress your skills. So whether you’re looking to catch air for the first time, stomp your first backside 3 or even get inverted, this course will help you achieve your goals. Keep exploring to discover more about our the unique experiences we offer for snowboard coaching getaways.